The response to Nutcracker Trivia was underwhelming to say the least. So we made a change. 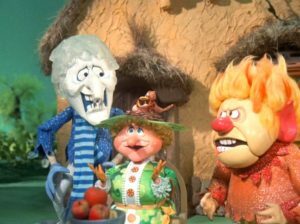 If you’re my age, you remember waiting breathlessly for the claymation Christmas specials and half-hour themed cartoons to appear on December weeknights. Rudolph the Red-Nosed Reindeer, The Grinch, Charlie Brown’s Christmas special- all these and more shall be fodder for this Thursday’s trivia. And if you were really excited for Nutcracker trivia (clearly not many of you were, and I include myself in that category) we will still have a couple of Nutcracker questions randomly sprinkled throughout. Enjoy! On Friday, the ever-popular Seinfeld trivia shall return, just in time for Festivus. Hope to see you all there!